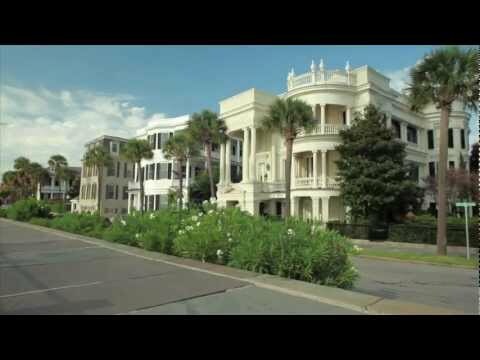 The historic port city of Charleston, South Carolina exudes traditional Southern charm, from its classic antebellum architecture and shaded cobblestone streets, to its renowned dining venues that celebrate and elevate the traditional Lowcountry cuisine of the Carolina coast. A standout among these fine-dining venues is Circa 1886, which serves up cuisine that draws its inspiration from historic Lowcountry dishes and marries them with culinary touches from around the world. The result is food that is both contemporary and comforting. Executive Chef Marc Collins uses only local and seasonal ingredients to create satisfying and tasteful appetizers and main courses A culinary gem in Charleston that uses only local and seasonal ingredients to create satisfying and tasteful Lowcountry appetizers and main courses with bright, bold flavors. The restaurant also features a 250-bottle wine selection carefully selected to pair well with the cuisine. The seasonal menu offerings are as distinct as the restaurant itself, which is located in the original carriage house of the historic Wentworth Mansion in the heart of Charleston’s downtown district. Built in 1886, many of the original architectural details still exist, including stable doors, a wood-burning kitchen fireplace and original pinewood floors. Cozy and romantic arched booths line the wall of the main dining room, while warm hues, candlelit tables and plush interiors create an ambiance that is both sophisticated and comfortable. Throughout the year, Circa 1886 hosts seasonal events that enhance the dining experience of their guests and showcase the culinary skills of this renowned Charleston culinary establishment. These include a fall Wild Game Dinner featuring favorite game meats, and the annual Progressive Dinner which takes place throughout the month of December. Already in its 29th year, this beloved holiday tradition is a festive evening that takes diners by horse-drawn carriage to three different restaurants. Guests are invited to start the evening with hors d’oeuvres at Historic Kings Courtyard Inn; from there, they travel to Circa 1886 for a three-course dinner; afterwards, they arrive at Historic John Rutledge House Inn for coffee and dessert–it’s a dining tour-de-force! If you’re planning to be in town December 10th or 11th this holiday season, don’t miss another Charleston Christmastime favorite–the 13th Annual Dickens Dinner at Circa 1886. Local storyteller Tim Lowry performs a lively retelling of English novelist Charles Dickens’ beloved novella, “A Christmas Carol” that transports guests to Victorian England. The performance is accompanied by a four-course dinner inspired by the novel, of course prepared by Chef Marc Collins. No matter what time of year you visit Charleston, dining at Circa 1886 is a must. For reservations and event information, call 843.853.7828.